Lenore Tawney was an American artist known for her work in fiber as well as for her drawings, collages, and assemblages. She established her eponymous foundation in 1989 to fund educational and charitable causes. 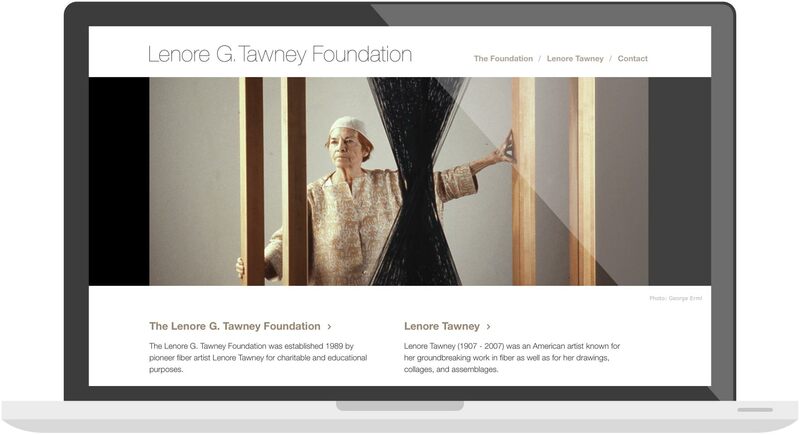 After the death in 2007, the Foundation set off to catalog Tawney's work and make it more accessible to the public. We created a clean identity for the Foundation that doesn't divert attention from the artist's work. 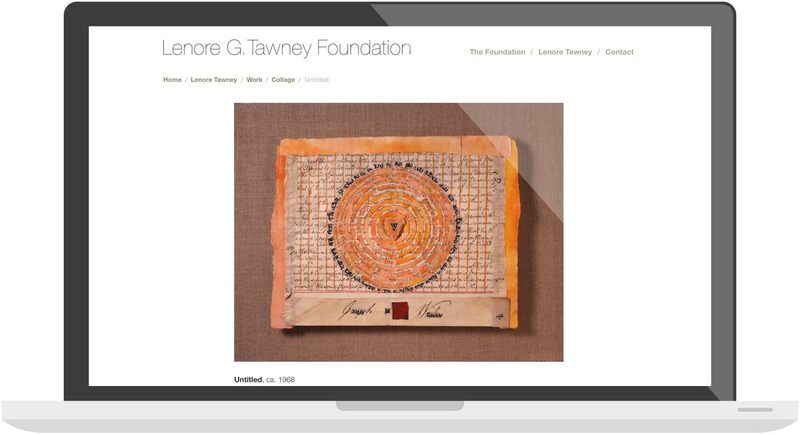 The website is primarily a research tool for those interested in Lenore Tawney's work. Besides showing pieces in different media, it gives a chronology as well as an archive of publications and exhibitions. "I shared the site-in-progress with some younger folks (mid-20s) who had never seen it before, and they really liked it a lot--both the look of it and the ease of finding information. I'm sure it's going to be just the research tool we were looking for!"